Monitoring your water usage for unusually high activity, for example checking the metre before & after periods of low use – while you are at work or if you are away for a day or two. Also check for running overflows and fix any obvious dripping taps, cisterns or pipes. If you think you have a water leak, report it to your water authority straight away. Instead of letting the tap run when waiting for cold water, fill a jug of water and keep it in the fridge. It is 500 times cheaper than bottled water. As shown in our infographic, washing machines & dishwashers are two of the largest water users! A washing machine on full cycle uses up to 75 litres of water; dishwashers use 16 litres. You’ll conserve water and save money by reducing your energy bill. #4. Don’t flush it all away! A third of all the water used in the house is flushed down the toilet. Some larger toilet cisterns can continue to work effectively with a smaller flush. Place a displacement device such a bottle filled with water into the cistern. Turning the tap off can save a massive 7,000 litres of water per year. A 5 minute Shower will use 35 litres of water in a regular shower, a power shower will use 125 litres in the same amount of time. Shortening shower time is an easy way to conserve water. A hose uses more water in one hour than the average family uses in a day! Always use a bucket and sponge to clean windows or wash your car instead of a hose & use a watering can in the garden. Instead of letting the tap run, use a basin to rinse/clean your fruit and vegetables. And you can use the leftover water to give your potted plants a drink. 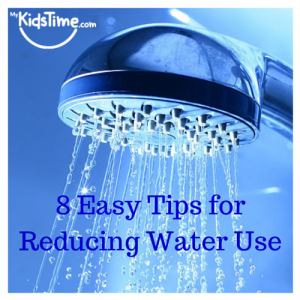 Have you any tips on reducing water use? Share them with us in the comments below. Did you find this article useful? Sign up for our free monthly newsletters, find us on facebook, Twitter, Instagram and Pinterest. 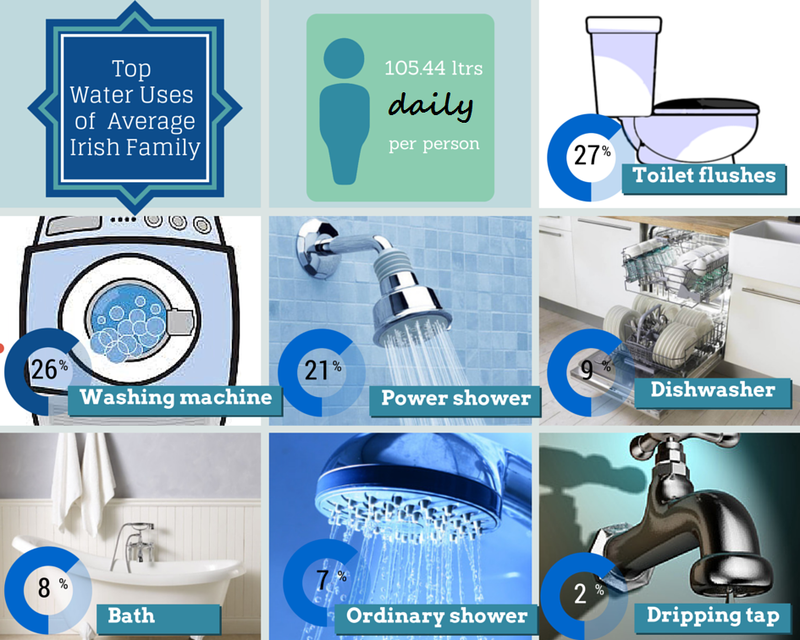 Next articleIrish Water Charges Explained: What will it mean for my Family?